Florida's playground, the city of Miami is well known for it's beaches, nightlife, people watching and generally being a bit wild. The gateway to most other destinations for travelers from the Caribbean and with 3 or 4 direct flights a day, it's a popular option for islanders as a weekend break or for a longer trip for those from further afield. Miami's proximity to Cuba and South America explains the heavy Spanish influence and sometime you can be forgiven for thinking you're not actually in America at all. It's a great place to eat, drink, shop, watch sports and relax in the sun. The majority of tourists will chose to stay along Miami's famous South Beach and there is a variety of options to suit every budget. At the lower end, South Seas offers one of the best locations, just up from Lincoln Road and right on the beach, while those with a bit more cash to splice can chose from the Delano, SLS, or, a bit further up the beach, the Fountainbleau, to name but a few. If the beach isn't a necessity, good deals can be found just across the road on Collin's Ave. Top scoring hotels include The Gale which has a fabulous bar and club. Miami is one of the best places in the world for people watching - and no better place to do that is from a comfy deckchair, cocktail in hand. Most of the big hotels have fabulous outdoor bars where you can order an overpriced mojito, sit back and watch the world go by. Miamia's Design District is an up and coming neighborhood, full of galleries, shops and unique bars and restaurants. Whether you're looking for designer deals at the outlets, high end brands or your favorite high street names, Miami's malls have something for everyone. Aventura Mall is the largest of them all - one of the biggest retail spaces in the country with every store you could imagine. You'll need a car though if going from South Beach - you can get the bus but it will take at least 45 minutes. Dolphin Mall. Full of discounts and deals to be found from Nike to Ralph Lauren at Florida's largest outlet mall. A reliable and punctual but shuttle runs to and from airport and is a good option for those with a long layover. The bus is $10 return. Dadeland Mall - the oldest of Miami's mall's but still holding it's own! Lincoln Road - not a classic Mall in that it's really just a pedestrianized street but over the years constant additions of high street favorites have put Lincoln Road right on the map, leaving tourists with little need to venture away from SoBe. My personal have with lots of options to stop for a drink or bite to eat out in the sunshine. Chartering a boat for the day (or finding a friend who has one!) 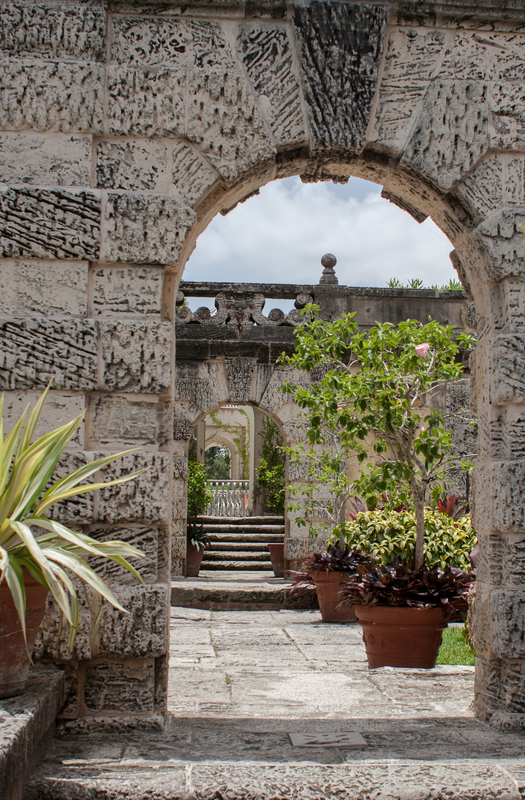 is a fabulous option for seeing a different side of Miami. Cruising away from Downtown you'll get a stunning view of the skyline, and get a true appreciation of the tropical waters between Florida and the Caribbean. Not more than half an hour away from the city's skyline you'll find gorgeous sandbars and hidden coves. Adrenaline junkies should also consider the Thriller - a 45 minute tour which goes out into the ocean for a high speed adventure through the surf before slowing down for a good look at South Beach and Downtown Miami from the water. Baoli - Club come restaurant, Baoli doesn't look like much from the street, but behind the plain door is a secret garden and exciting culinary world to discover. Expect delectable dishes, loud music and high prices but above all, expect a damn good time. If you're going on a Friday or Saturday night you need to book, and for groups they will take a $50 per head deposit - but don't let that put you off. It's worth it. Cecconi's - Located on the ground floor of the Soho Beach House, Cecconi's is the perfect venue for a casual brunch, lunch or a place to while away an afternoon. They serve a variety of delicious breakfast and lunch items complimented by good cocktails and a big selection wines, and on Sunday's their brunch is incredibly popular - make sure you book. Novecento - Downtown in Brickell, Novecento is a buzzing restaurant loved by locals and the employees of the surrounding businesses. Have the Novecento salad - grilled steak over a green salad and a bed of fries. It's on my top 10 things to do and eat in Florida. SLS - The SLS hotel is one of the nicest on South Beach and it's also host to one of the best parties on weekends. A classy crowd mingles to funky music sipping on classic cocktails. It's not cheap, but it's worth a splurge. Set nightclub - this relatively small club packs a big punch with incredible dancers and theatrics entertaining the beautiful crowd dancing to beats pumped out by killer DJs. The club doors spill out onto Lincoln Road and are well worth a look in. If all else fails, head to the beach or wander down Ocean Drive - there is always a happy hour deal to be had and some people watching to do!